Dysplastic Nevi, or atypical moles, are pre-cancerous or noncancerous moles. They are unusual looking and may resemble melanoma. People who have dysplastic nevi have an increased risk of developing melanoma in another mole or elsewhere on the body. People with a higher number of these moles are at a greater risk of developing melanoma. Atypical moles tend to run in families, and heredity seems to be part of the cause of the formation of moles. If there is a family history of melanoma, the probability of getting a melanoma is quite high. 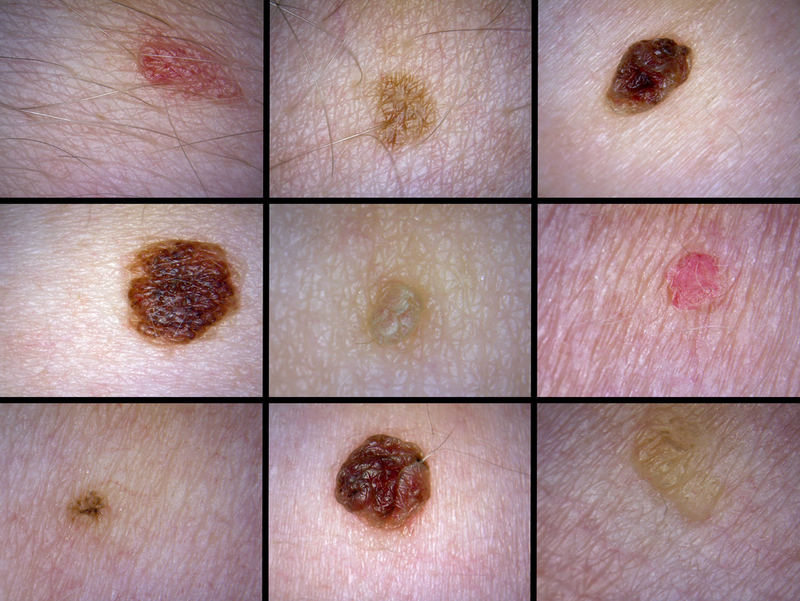 Even if there is no family history of melanoma, people who have atypical moles are at higher risk of developing melanoma compared with the general population. In addition, people who have a large number of normal moles — 50 or more — are also in this higher-risk group. Anyone in this risk category should see a dermatologist for regular skin exams and use daily protection against the harmful rays of the sun, as well as check their own skin and moles for changes regularly. Depending on the individual mole, your health care provider may suggest doing nothing to it, continuing to observe it, removing it and/or biopsying it. These types of procedures are routinely done in our office. If you have any questions about your own moles, or about your family’s dermatological history and your own skin, we are ready to answer your questions. Remember, these are just sample photographs. Your mole may look different. Call our office if you have any questions at all about the moles on your skin.